In the 1930s and 40s farm tractors were available but most of the small farmers could not afford one. Some farmers would cooperate in the purchase of one and then share it. 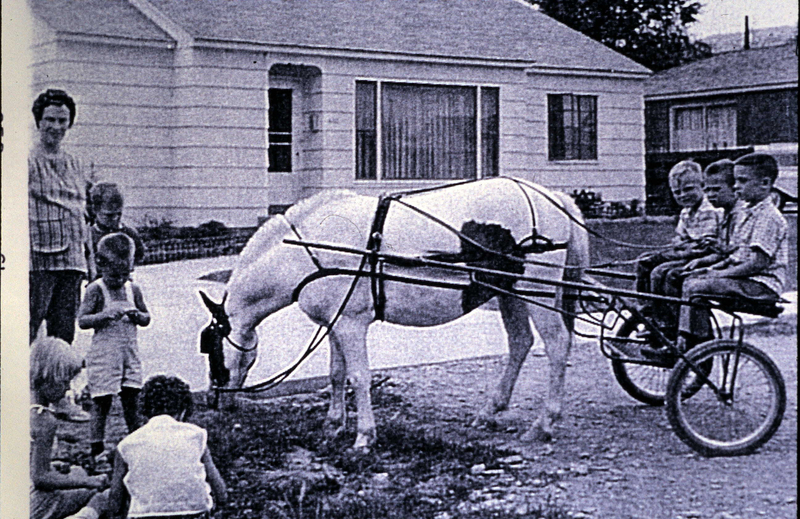 Because of scarcity of motorized equipment many farmers relied on the horse. My father owned several horses and we used them on the farm. My brothers and I spent many hours following a horse that was pulling a cultivator in rows of strawberries. The cultivator would dig up the weeds and break up the soil so that the irrigation water could soak into the ground. It was one row at a time. The horse did not need much prodding to just keep going row after row for several hours. I guess it was worth it because the strawberries were a good cash crop, and my family needed the money. We also would use a horse and wagon to haul lugs of pie cherries from the orchard into the packing shed. This was hard work but was just part of the farm lifestyle. One of our farms was about five miles from home. 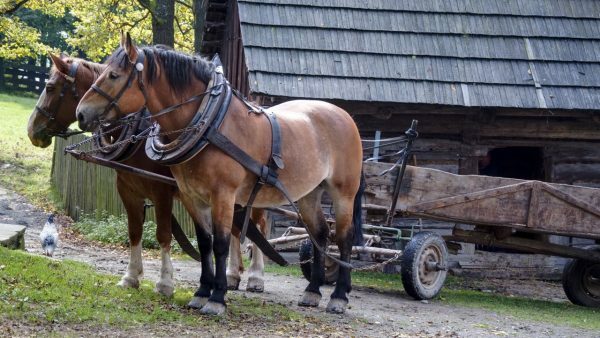 When we finished with the work at one farm and needed to take the horse and wagon home, I or one of my brothers would get on the wagon and get the horse moving in the right direction. I could go to sleep on the wagon and wake up in our farmyard. The horse knew the way and could negotiate the roads and traffic in our rural town.